Judith Moore Funeral services for the late Judith Moore will be announced once finalized. Laiza Nitsiza Funeral services for the late Laiza Nitsiza will be announced once finalized. Ken Thomas Funeral services for the late Ken Thomas will be announced once finalized. Percy Hardisty The late Percy Hardisty will be returning to his home community of Fort. Simpson for burial. There will be a Celebration of Life for the late Alex Czarnecki on May 9th, 2019 at 7:30 pm at the Northern Arts and Cultural Centre (NACC). Archie Wedzin The late Archie Wedzin will return to his home community of BehchoKo. Ralph Blake The late Ralph Blake will be returning to his home community of Fort. McPherson. Introducing: Funeral Services for residents of the South Slave. Since establishing her business since 2008, Janice has helped families arrange appropriate farewells and can offer grieving families a sense of peace. 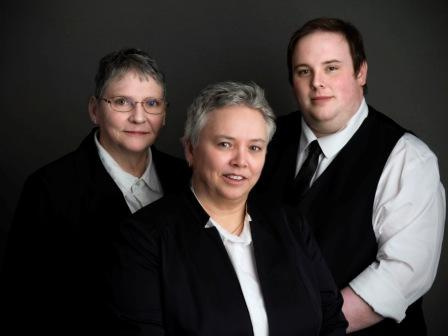 Whatever your needs at your time of loss, you can trust Janice McKenna and McKenna Funeral Home to provide compassionate, dedicated and reliable service 24 hours a day, 7 days a week. Our services are also now available to residents of the South Slave. Jacky Kruger is based in Hay River to meet all your needs. Reach her at 867-875-0411.